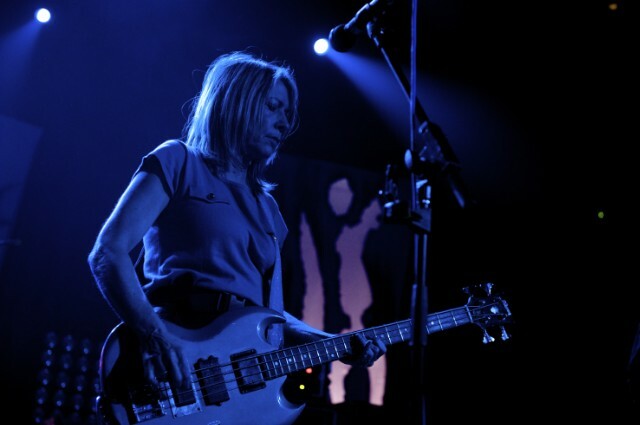 Sonic Youth’s Kim Gordon appeared on the Consequence of Sound/91.9 WFPK podcast Kyle Meredith With… earlier this week and shared some information about her planned upcoming musical projects. She told Meredith that the new album by Body/Head, her duo with Bill Nace, will be out on Matador on July 13. “It’s really heavy. I don’t really know what to think of the Body/Head record; it’s quite different than the first one,” she said. The singer and bassist also explained that she will be following up her 2016 debut solo single “Murdered Out” with a full-length release, but that it will likely not be out until 2019. She said she is not working with “Murdered Out” producer Justin Raisen on the LP, and is instead collaborating with an undisclosed person who is “very busy.” Gordon also discussed the legacy of the Sonic Youth albums Daydream Nation and A Thousand Leaves, which both have anniversaries this year, and her appearance on the upcoming Stephen Malkmus and the Jicks record. Listen to the full interview below.